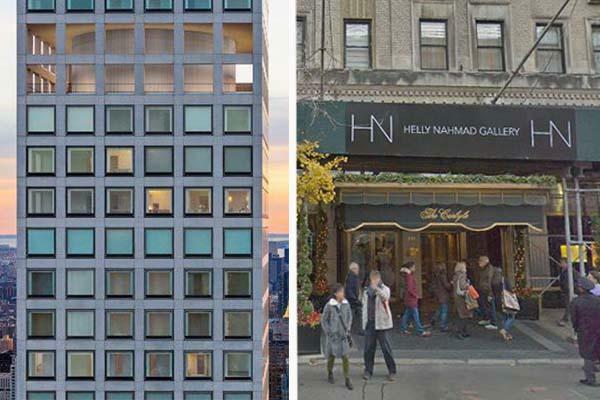 Hillel “Helly” Nahmad is behind the most expensive resales at 432 Park Avenue to date with his purchase of two apartments at the ultra-luxury tower for a combined $60 million. The Wall Street Journal identified Nahmad’s signature on both deeds, though he and his representatives declined to comment. Nahmad’s father, David, is an art collector and dealer worth a reported $1.85 billion, though the younger Nahmad runs his own gallery out of The Carlyle Hotel in the Upper East Side. Nahmad was arrested in 2013 as part of a FBI investigation into an illegal sports-gambling ring and the art scion went to prison for about five months. He also paid a hefty fine of $30,000 and turned in an additional $6.4 million along with the rights to Raoul Dufy’s 1937 painting “Carnaval à Nice” for a fraudulent transaction, according to Art in America. Nahmad’s new units in 432 Park Avenue are currently separate apartments, but span an entire floor of the tower and have six bedrooms combined, as The Real Deal reported.